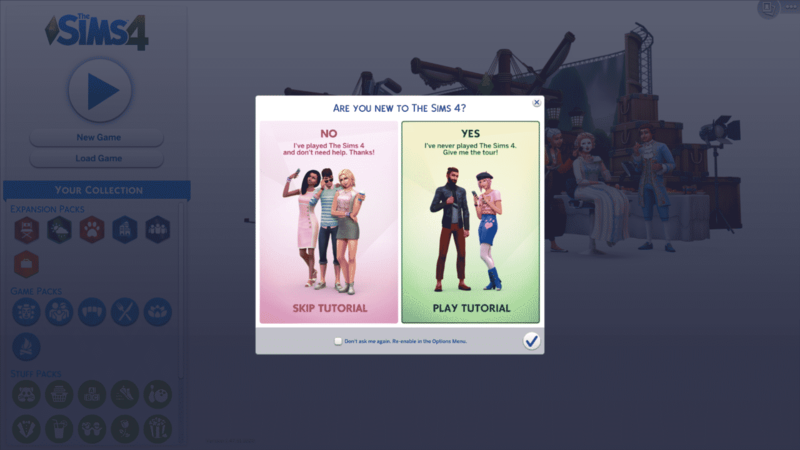 The Sims 4’s brand new tutorial is a handy walkthrough of some of the game’s most basic and essential features that you’re going to encounter during your further playtime sessions. Beside the usual “click this” and “do that” prompts that you’re going to encounter during the tutorial there are also some permanent benefits that you’re going to get to keep after finishing the tutorial. After selecting the “Play Tutorial” option you’ll be greeted with a specific set of Aspiration options that differ from the regular Aspirations set that you get when opening Create A Sim without the tutorial. Those include Athlete, Chef, Painter and the Trend-Setter aspirations which are exclusive to this Tutorial. It doesn’t really matter which Aspiration you choose in Create A Sim considering that they only determine which Career will be given to you in the Live Mode Tutorial. All of these 4 Aspirations will give you the “Career-Minded” Trait, promising a slight jump in your Career Level and slight performance boosts that will make sure you earn promotions in your career much faster. This trait is yours to keep after completing the tutorial including the Career that you’ve chosen to play with after finishing up the tutorial. However, this isn’t the only trait that you’ll get to keep after completing the brand new tutorial. 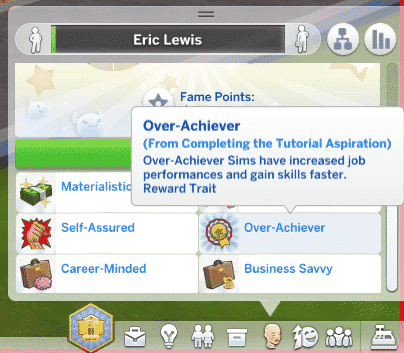 The Over-Achiever Trait is another new trait that gets introduced with the latest tutorial change, promising increased job performances and faster skill progress. 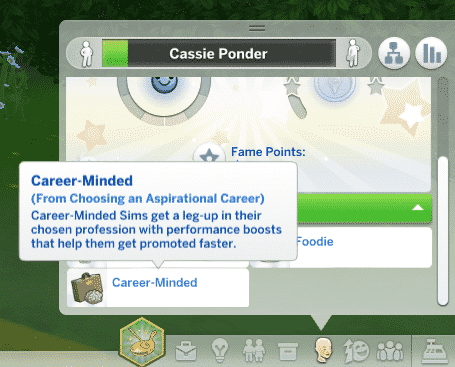 It’s a Reward Trait that your Sim will get to obtain immediately after finishing up the tutorial and just like with the Career-Minded trait, it’s yours to keep forever. Is that why my tutorial didn’t work? I never selected an aspiration I just loaded a family from my library. I played through that tutorial once and it was buggy and ridiculously restrictive. A house and 20 grand was worth it. I don’t normally modify sims traits with chats, but I will be adding these to future sims. I agree. I tried out the tutorial, just to see what it was like. It never told me to do anything. I was expecting some sort of prompts like “click on your roommate to socialize with them!” but nothing like that ever happened. I had to look at the aspiration itself to clue me in to what I was supposed to be doing next. (Which for someone who’s used to S4 wasn’t a huge deal; but the whole point of a tutorial is that the people who need it probably arent used to the game.) Then, half the time, the aspirations didn’t register as being completed as they should have — there was one where my sim was supposed to shower to get ready for work, and I swear she showered three or four times before it gave me points for having been completed. I put up with the nonsense for about fifteen minutes before I was done. None of those new traits are worth it, anyway; especially because I rarely have sims that have actual careers, and there are plenty of other traits (and other bonuses) to boost skill gaining ability.